The two latest additions to GTA Online are out now: the luxurious and lightweight Dewbauchee Specter sports car, and Collection Time, the new Adversary Mode where you’ll pick your opponents’ pockets to rack up wins. 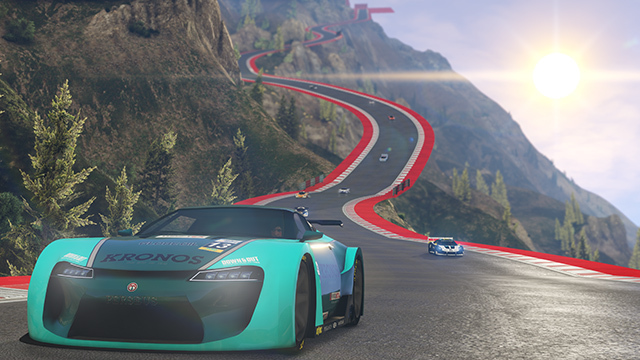 Read all about both plus all the latest bonuses and discounts to hit GTA Online below. Benny’s continues their brilliance in automobile artistry with their latest offering, the Dewbauchee Specter. This two-door Sports coupé is at its heart the gold standard for exclusivity, and Benny is on hand to strip it down to its core before reassembling it as a lightweight, super-customizable beast. Strike while the iron’s hot to take advantage of 25% off Benny’s Upgrades and the Executive Upgrade that brings Benny’s workshop right into your own garage, now through January 30th. In Collection Time, it’s all about the give and take. In teams of two to four, players battle to steal and hoard the most points over the given time period. Each player starts out with one point in the form of a money bag; once killed that bag will drop and be up for grabs for whoever can reach it first. The team holding the most bags when the clock runs out wins. Stay greedy and hone your tactics across seven brand new maps. 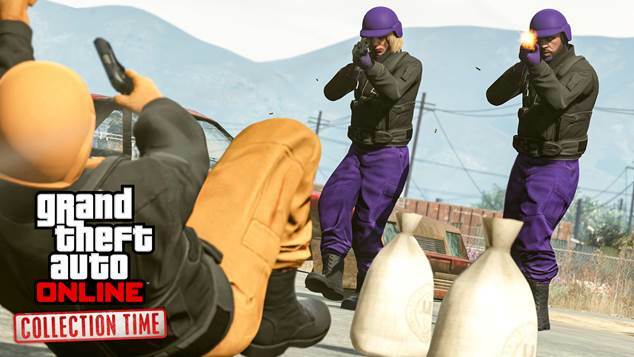 For extra earnings, play Collection Time between now and Monday, January 30th for Double GTA$ & RP. In addition to Collection Time, MCs and Organizations alike are about to get that much richer with a double dose of GTA$ & RP in GTA Online Biker Clubhouse Contracts and Special Vehicle Work – now through January 30th. Traverse the turf usually reserved for death cults and hippies in Chiliad, the featured Premium Stunt Race now through January 30th. Place in the top three in this Non-Contact Point-to-Point Super Race to win big GTA$ prizes, and take comfort in knowing you’ll get Triple RP wherever you finish. Enter at the yellow blip at Legion Square or via the Quick Job App on your in-game phone.